Wow, We are So Tech-Vulnerable! New York I’m going to keep saying it over and over again. I’m not paranoid. Never have been. I am definitely NOT paranoid. And, that’s always been true, but recently I’m saying it over and over again, I guess, hoping that I believe it. You know how these things work. First a small seed or association gets planted in your mind where it can grow in the dark corners and jump out and surprise you later. 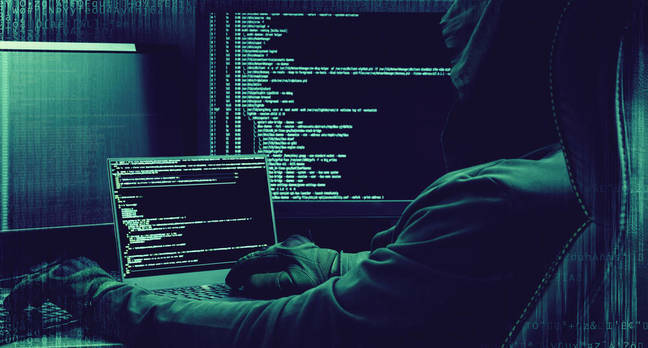 For me that was an article I read in the magazine, Wired, about how hackers, likely state-supported from Russia, were messing with Ukraine full-time and big-time. The last two winters in the throes of December, they have proven that they can sneak in and turn the electrical power grid there upside down and twelve ways from Sunday. The detail in the piece was the upset in the Ukraine, but the bottom line warning was that Ukraine was a practice field for the main contest, and that was hitting the main grids that power Europe and the United States. In New Orleans last week, Entergy, the multi-state electrical and nuclear power conglomerate that provides service, sent out a message that the entire Central Business District would be without power for some hours in the middle of the day. As a public company they had to provide some minimal details, and so they did. They claimed there had been vandalism to one of their substations in the CBD. Damn, I wanted to believe that, even as odd as it sounds. Having read the Wired story though, I was worried. They ended up claiming that someone had stolen 50 pounds of copper welding wire. Case solved, they said. I’m still scratching my head though. How would the theft of some copper wire force the company to shut the city’s throbbing commercial heart down for hours? And, then at about 1:30 PM one afternoon last week I couldn’t send an email out or access our server. I was getting ready to text our server guy to complain, but stopped when everyone in the office said Cox Cable, our internet provider had gone down citywide. Cox is a private company. They were saying nothing at all. Word was that they would be down until 8:00 PM that night, but they came back on about 5:30 or so. Cox never provided an explanation. I absolutely know they were hacked! Nothing much it seems we can do, but it does make you realize how much we depend on these common utilities like electricity and internet, and how totally vulnerable we – and all of the systems we depend on – really are. We feel like sitting ducks! Then we read about all of these computer bugs lifted from our own National Security Agency that are being used for billions of dollars of so-called ransomware attacks, where you have to pay someone, somewhere to unlock your own computer. I’m flying within hours to Budapest to do some workshops for activists and organizers, because Hungary is undergoing an undemocratic assault on nonprofits, activists, and any government opponents. Do I dare use my computer without connecting to a VPN or virtual something network? Would I be risking surveillance and attacks on our organizations and members? Is this the way we are all going to have to live and work? One eye over our shoulder, tapping away on our essential work and communications devices and wondering any minute whether they could go rogue?